The game is on. ABC has just announced the celebrity guests for their upcoming season of The $100,000 Pyramid. 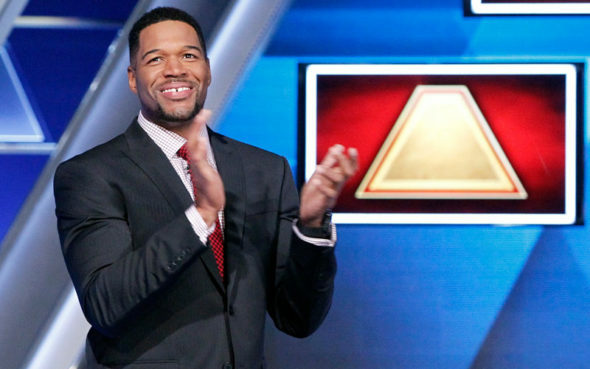 The game show revival will be hosted by Michael Strahan. The season will feature guest stars like Rosie O’Donnell, Mario Batali, Weird Al Yankovic, Anthony Anderson, and the duel we’ve all been waiting for—Martha Stewart vs Snoop Dogg. The $100,000 Pyramid premieres on June 26th at 9 p.m. ET/PT. The Pyramid is back! The Emmy Award(R)-winning pop-culture phenomenon is reimagined and better than ever when a cast of all-star celebrities take center stage and partner with contestants from across the country to compete against each other with hopes of making it to the winners circle and the ultimate prize of $100,000 on “The $100,000 Pyramid,” premiering SUNDAY, JUNE 26 (9:00-10:00 p.m. EDT), on the ABC Television Network. What do you think? Are you a fan of the game show? Will you watch the ABC reboot? More about: ABC TV shows: canceled or renewed?, The $100000 Pyramid (2016), The $100000 Pyramid (2016): canceled or renewed? The $100,000 Pyramid: Cancelled or Renewed for Season Three on ABC? Live with Kelly and Michael: Kelly Ripa Wants Anderson Cooper for New Co-Host? I LOVE THIS SHOW, AND WILL WATCH “EVERY” EPISODE !!!!!! Have they said that it’s a rule that the contestant always gives the clues in the Winner’s Circle? I have watched forever & know all the rules & you guys forgot 1. Even at the bonus round, the host is suppose to ask who will give & who will receive to their option. He is not! I have the game & rule book. This is my ultimate favorite game show, so if you’re gonna emulate something, PLEASE DO IT RIGHT! I have watched forever & know all the rules & you guys forgot 1. Even at the bonus round, the host is suppose to ask who will give & who will receive to their option. He is not! I have the game & the rule book. This is my ultimate favorite game show, so if you’re gonna emulate something, please do it RIGHT!!!! Michael Strahan is terrible on this show! His voice and speech issue make him sound ridiculous when the talks. GMA must be crazy to make him full time. I won’t watch it because Rosie O’Donnell is going to be on there. Personality, and totally entertaining showmanship. Sick and tired of Michael Strahan already; Too much. Please don’t cancel NASHVILLE… Best TV show!!! !